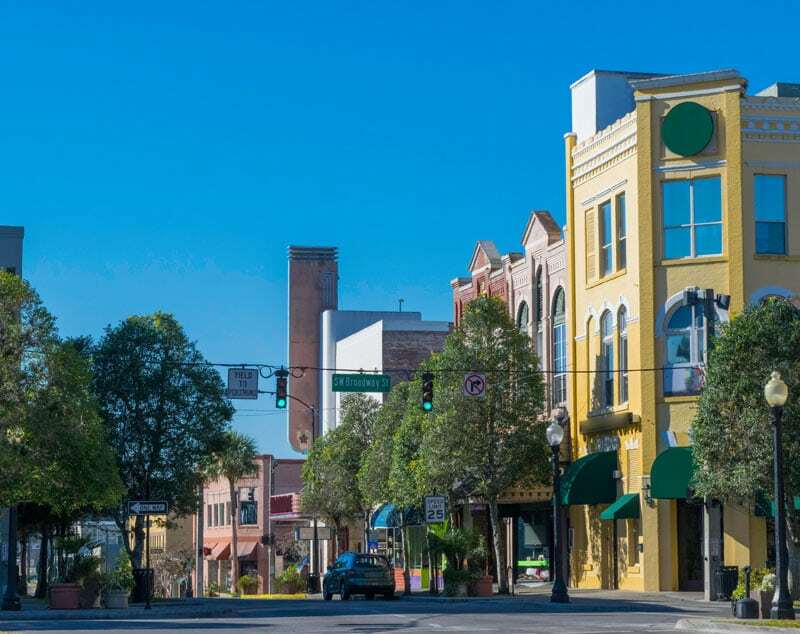 Find Real Estate in Ocala, Florida . . .
Bricks & Mortar Real Estate is a team of Realtors in Ocala, Florida with a mission to set the standard for personalized service. We use a select group of hand-picked local real estate agents, each with their own area of expertise. We provide our Realtors with the latest in technology and marketing techniques along with an exclusive group of affiliates, all to ensure a personalized experience tailored to each customer’s need. We use strong work ethics and attention to detail to provide our customers with the knowledge to make informed decisions. Whether you’re buying or selling a home, investing in commercial real estate, or looking for the perfect office space, the Realtors at Bricks & Mortar Real Estate are committed to your satisfaction. Here’s just a few of the comments from our satisfied buyers and sellers. I highly recommend the whole Brick and Mortar Team! Very knowledgeable on real estate, and truly want to get the best for their clients! It was a pleasure working with Danielle for all our real estate needs. Danielle represented us as a buyer and seller. She kept us updated on every level of selling our home of 17+ years, as well as buying our new home. Bricks & Mortar is a one stop business for all your real estate and development needs. Their staff is extremely knowledgeable and professional. We highly recommend Danielle and Bricks and Mortar! Why Choose Bricks & Mortar? Bricks & Mortar Real Estate & Development began with a passion to bring real estate to life. With her first commercial development project in historic downtown Dunnellon (a local quilt shop), owner and broker Vicky Morrison experienced first-hand to think like an investor. Today she is one of only 7 percent of commercial real estate agents with a CCIM designation, recognized as commercial real estate’s global standard for professional achievement. When you work with a CCIM member, you can be certain you’re represented by a professional with a thorough understanding of the economics, decision making, market conditions and negotiation skills to make your commercial project successful. On the residential side, Vicky has assembled a capable team of Ocala Realtors with a variety of backgrounds to ensure home buyers and sellers are well served every step of the way. Her team includes specialized experience in photography and video, digital marketing, appraisals, retirement and relocation, and first time home buyers. At Bricks & Mortar, agents are always learning in order to bring cutting edge skills and practical knowledge to their clients. In our community, there are many capable and qualified real estate agents. But at Bricks & Mortar Real Estate, you can be sure your next real estate transaction will be represented by a team that goes above and beyond for their clients. For more information, call us today at (352) 519-1888 or click to email us. Questions About Real Estate in Ocala? The team of Realtors at Bricks & Mortar are happy to help.